Two new exhibits open on March 22 at the Illinois Central College art galleries, located on the East Peoria Campus. Take Cover and Back Story, a mixed media exhibit by Robert Tomlinson, opens in Gallery 336B, located in the Academic Building. 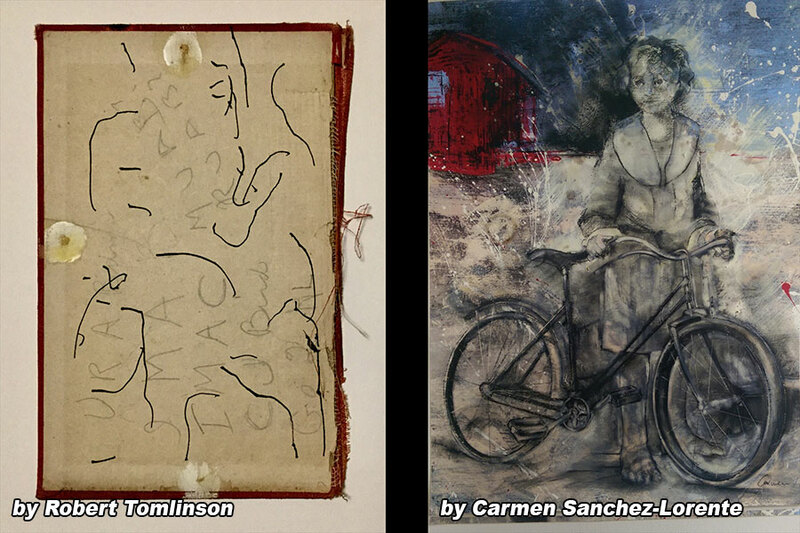 In addition, a combined exhibit of painting by Carmen Sanchez-Lorente and mixed media by Venise Keys opens in the ICC Performing Arts Center Gallery, located in the lobby of the facility. The artists are scheduled to present a talk on March 30 from 11 am to 1 pm in the gallery. Both exhibits will be on display through noon on April 14. Tomlinson has served as executive director and curator for The San Jose Institute for Contemporary Art, Gallery One Visual Arts Center and the Oregon Arts Alliance. He has curated and installed more than 100 exhibitions and created a gallery for the developmentally disabled. A working artist, Tomlinson has conducted his own studio practice for more than 35 years. In 2011, he co-founded 13 Hats, a group of artists and writers that collaborated for two years on a wide range of creative projects and exhibitions. His work has been featured in 35 solo shows and more than 50 group exhibitions. Prior to moving to Catskill, NY, Tomlinson served on the board for the newly formed Ash Creek Arts Center, which he helped to start. Tomlinson was co-founder and co-editor for the new arts and literary quarterly journal, Picture Sentence. He was the “artist vision” curator for the Lake Oswego Arts Festival in 2015 and 2016. Tomlinson hosts a monthly radio show, Purple House: A Monthly Forum for the Arts, on community radio station WGXC 90.7 FM. Sanchez-Lorente currently serves as an adjunct instructor in the ICC Art Program. She began studying art through involvement with the Madrid Watercolor Association and earned a master degree in fine arts at Complutense University of Madrid. Her works have been displayed in several exhibits, including a solo exhibition at the Speakeasy Arts Center in Pekin, the Peoria Historical Society’s 49th Annual Rennick Juried Art Show, the Peoria Riverfront Museum, Prairie Center of the Arts in Peoria, and many more. She previous served as artist in residence for Peoria Public Schools and has taught art classes internationally in Spain, Peru and South Africa. 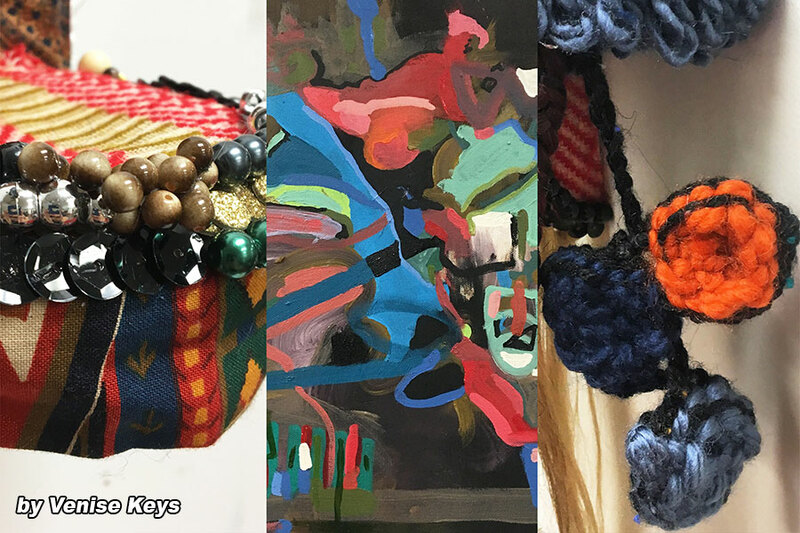 Keys resides in Normal and serves as an adjunct instructor in the ICC Art Program. She was born in 1991 and raised on the south side of Chicago. In 2013, she earned a bachelor degree in fine arts from Bradley University. She obtained her master degree in 2016 with a graduate certificate in women’s and gender studies from Illinois State University. She began working as an artist-activist in 2011 when she chartered the Theta Gamma Chapter of Kappa Pi International Honorary Art Fraternity at Bradley University as a way of building solidarity among the art students, the institution and the Peoria community. Keys served as chapter president for two years. While at ISU, Keys was awarded the individual Eric R. Baber Fellowship Grant from the School of Art faculty for artistic merit in master’s level studio performance. She also received two grants from Friends of the Arts during her studies at ISU. Her art is included in the permanent collections of the ISU University Galleries, the Education Administrations and Foundations Department at ISU, the Art Department at Bradley University, and the Saint Louis University Museum of Art. Keys’ works have been exhibited at galleries in Brooklyn, Chicago, Springfield and Peoria.